So, while out picking blackberries today, we encountered several cool creatures. 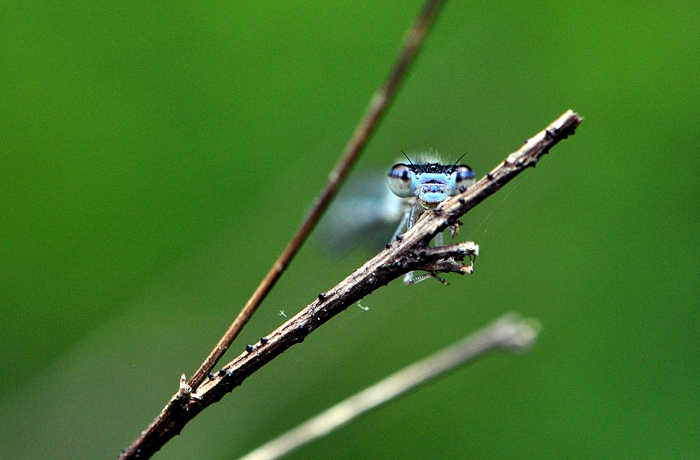 One was this little dragonfly who did not seem to be afraid of me. He amazingly stood still long enough for me to get his photo. He was so small, I only got a chance to see what he really looks like when I shot the photo and looked on the back of the screen. Once I shot the photo, he was off chasing other dragons.